The holiday season is upon us once again. We hope the merry sounds, delicious aromas, and goodwill of this season are inspiring cheer and the spirit of giving with all of you, just as it does for us. Corporate philanthropy is a growing trend in the moving industry. 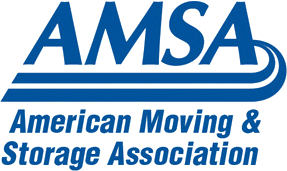 Our favorite charity, Move for Hunger, was just featured in this great article about Movers giving back in New Direction Magazine, AMSA's quarterly publication. Last year, we sent you an email with stories of positive action from moving companies around the country. This year, we have 3 more inspiring stories from Move for Hunger. Did you know 40% off America's food supply ends up in landfills? Keeping edible produce out of the landfill and then moving it into the hands of those who need it is a simple way to improve our nation's food crisis. The process of gathering excess food from farms is called gleaning and Wayne Moving & Storage did exactly that this fall. 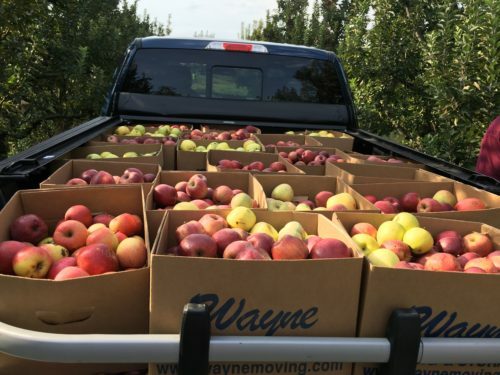 Wayne Moving & Storage gathered co-workers, friend and family at a local farm and collected over 1,300 pounds of apples. Read their story here. If you've ever cheered on a family member or participated in a race of any kind, you probably noticed the massive amount of post-race snacks provided by the event organizers at the finish line. But what happens to all those leftover bananas? They usually get thrown out. The guys at Gentle Gentle Moving Company of Brooklyn came up with a solution. 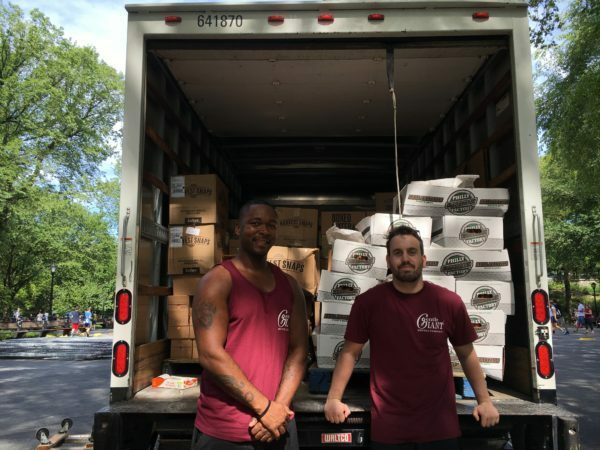 For the New York City triathlon, they rolled into Central Park and loaded up all the excess food, providing over 2,900 pounds of food. The timing was ideal, as children that receive free and reduced lunch during the school year are particularly vulnerable to food insecurity during the summer months. Read the full story here. 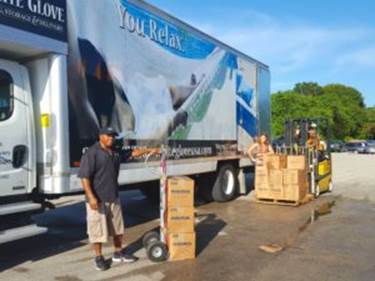 By partnering with other businesses in the Treasure Cove area of Florida, White Glove was able to spread the workload and reach more people. Their food drive was able to provide over 1,300 meals for the community. Read about it here. If you haven't already, join Move for Hunger to make a difference in your day to day business. As movers, you see firsthand how much waste is generated when someone moves. And you're in the perfect position to fix that. 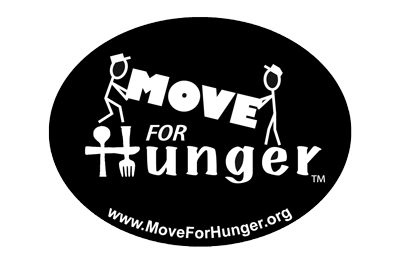 Visit Move For Hunger to join the hundreds of movers across the country that are making a difference. We are certainly inspired by the Moving Industry and Move for Hunger and would like to make a donation based on your service with us. 1. $100 Donation - New customers sign up for Service and we will donate the first $100 of your service to Move for Hunger. 2. $100 Donation - Current Customers upgrade your list only service to Automated Postcards and we will donate the first $100 of your service to Move for Hunger. 3. $50 Donation for Referrals - Current customers refer us to another mover and when they sign up for service, we will donate $50 to move to Hunger AND $100 of their service will still apply too. Yup. Your 2017 marketing plan can start now with a donation to Move for Hunger. Are you ready to get started? Our donation offers are valid through December 31st 2016, and limited to the first 50 movers that mention this offer. Your marketing efforts will not only help your business grow next year; it will also make a positive contribution to the community. And, please let us know your stories of giving back; we will feature YOU next year! We wish you a healthy, happy and prosperous New Year!